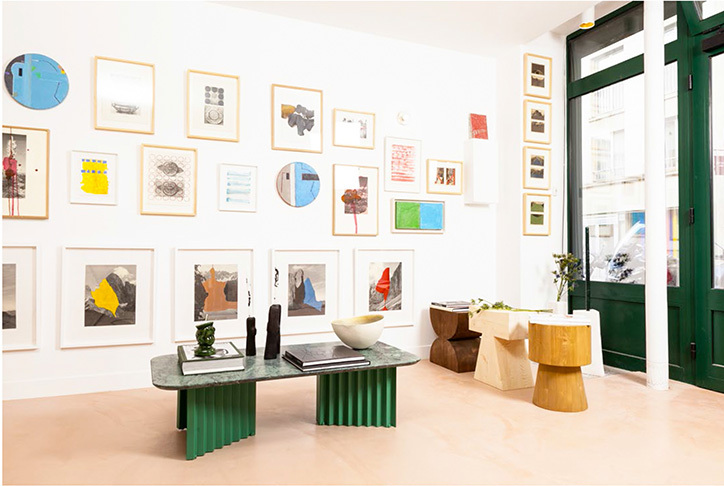 Just off Rue des Martyrs in Paris, in the 9th arrondissement, “Maison d’art Amelie” showroom presents the works of a hundred artists and contemporary designers. 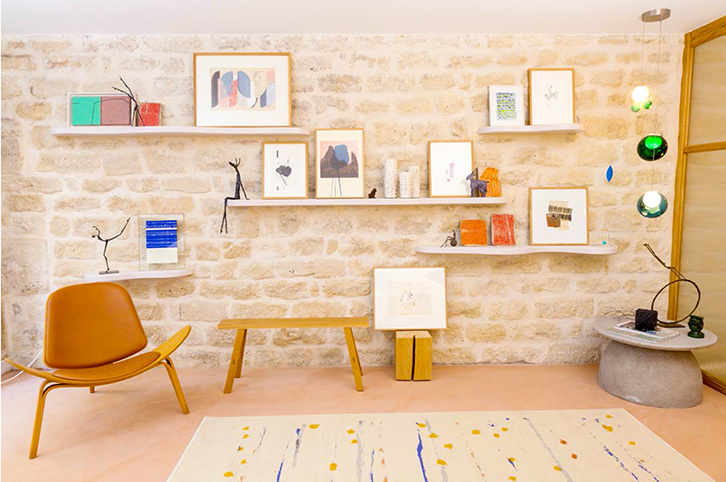 Founded by Amélie du Chalard, a 31-year-old collector, Maison d’Art Amelie is a showcase for paintings, engravings, sculptures, photographs, videos and works of art. 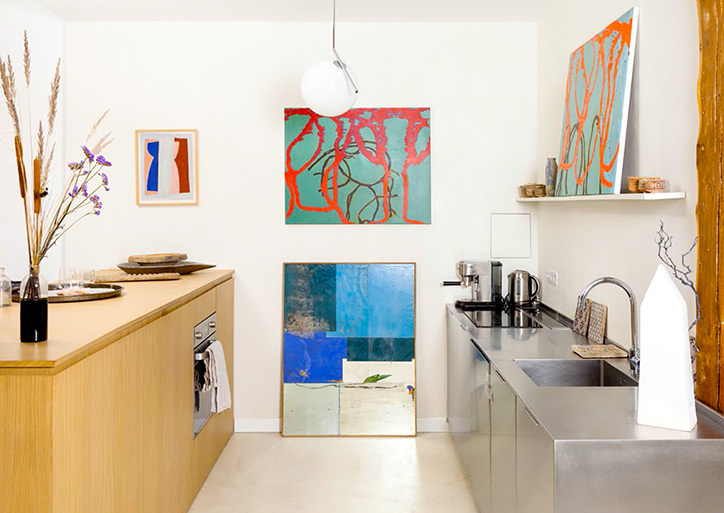 Aficionados of abstract art can view the pieces into a familiar domestic interior before acquiring the work of their choice. At Amelie’s, art lives naturally. 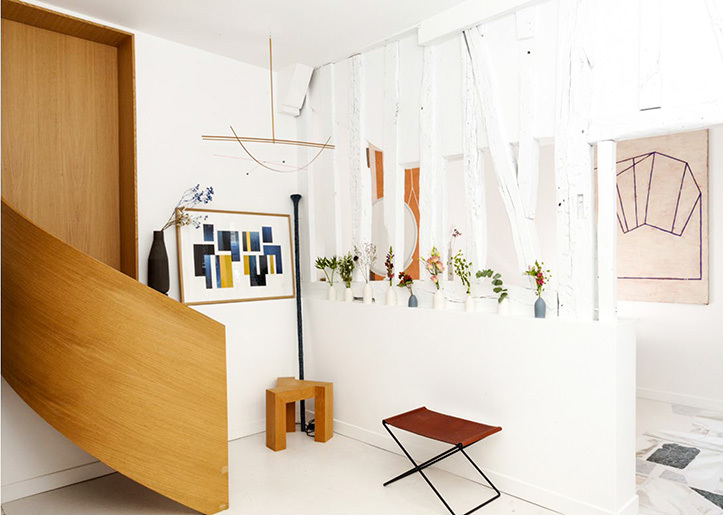 The gallery has been imagined as a town house, where artworks illuminate every room: from the entrance to the living room; from the bedroom to the bathroom. Covering an area of 230 m2 spread over two floors, the space has been redesigned by the architectural firm Batiik Studio. 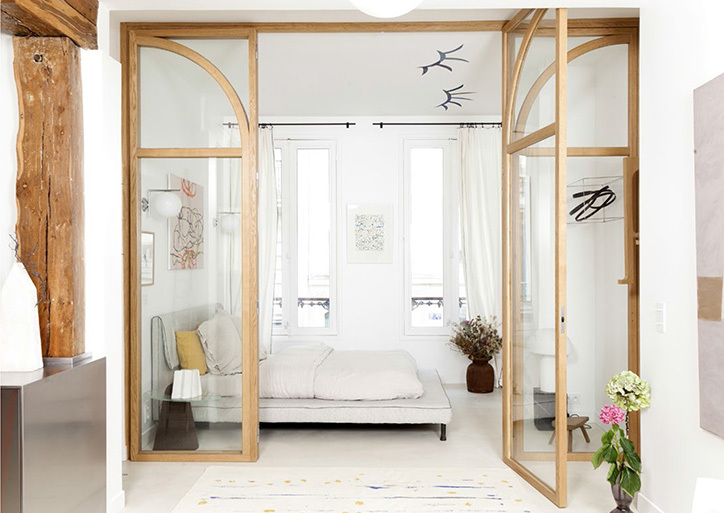 While, elements dated from the 19th century such as the Eiffel and Haussmann beams have been preserved; the house exhibits a modern chic interior. On the ground floor, the visitor is immediately immersed in the world of Amelie and her artists with paintings hanging on immaculate walls. A semi-circular staircase leads to the living room, where designer furniture and works of art create an atmosphere of invigorating modernity. 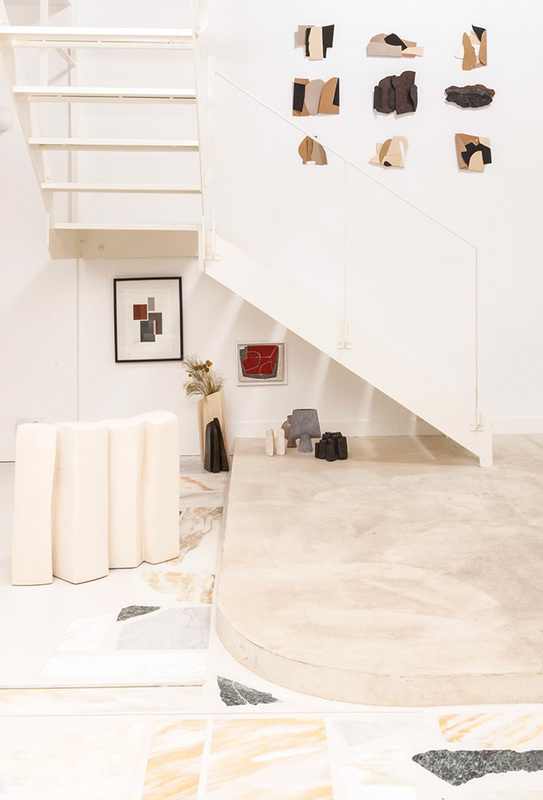 On the floor, a pastel terrazzo XXL will inevitably catch all eyes. Upstairs, there is an open space including dining room, living room and open kitchen. On the east?/west? side, very large windows invite the light in and offer a panoramic view of a lush green courtyard. On the street side, the room is nestled behind tall glass doors. The bathroom THG Paris displays a sleek black and white elegant atmosphere. 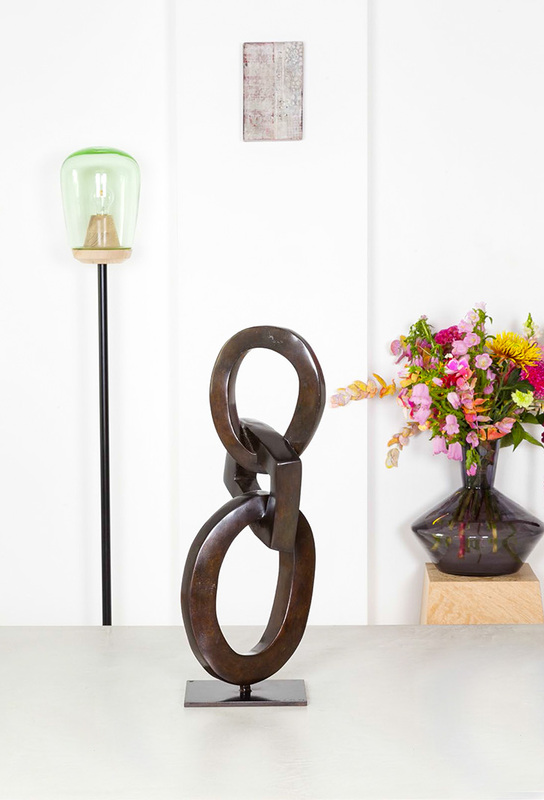 In every single room, art and design live together. 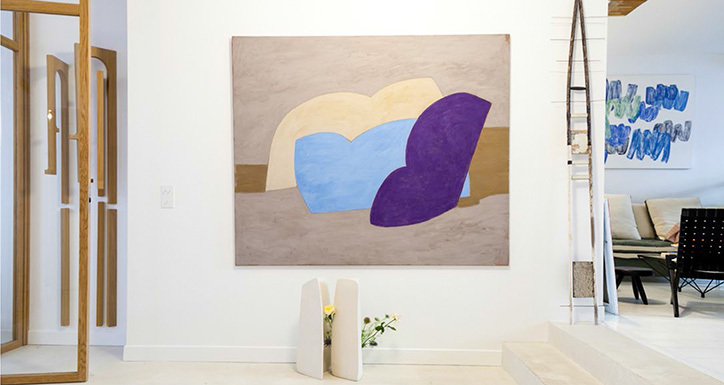 Every two months, Amélie du Chalard creates a new exhibition highlighting a duo or a trio of artists. 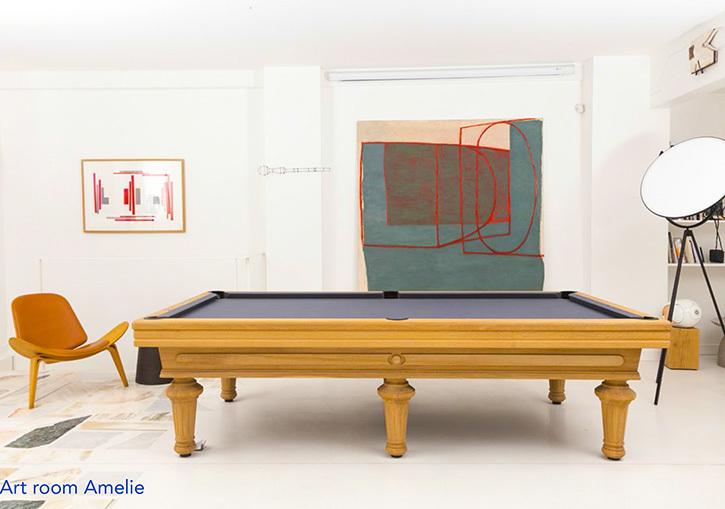 The Amelie Art Room is a innovative gallery format that unravels the codes of contemporary art and gives new life to the traditional galleries often perceived by art lovers as too intimidating. 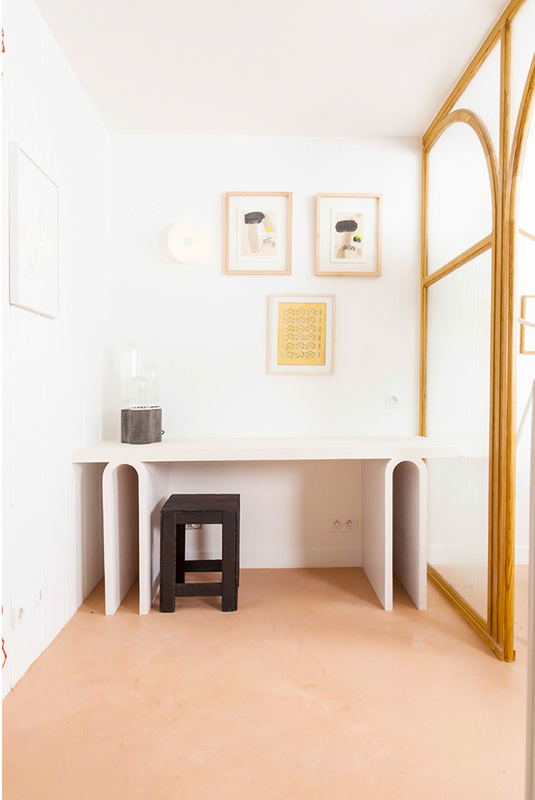 It is to invite curious passers-by that Amelie du Chalard has launched a Mini Room, open to the public from Tuesday to Saturday. 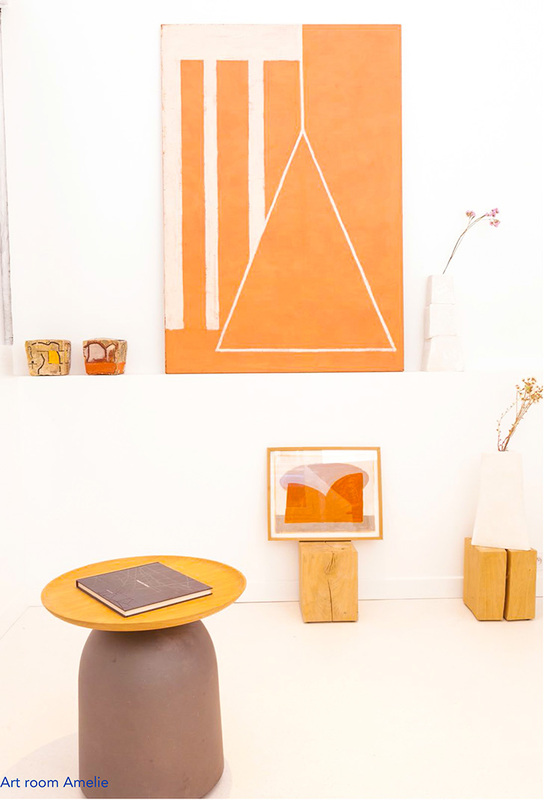 This space is home to small formats, art objects and design at low prices, from 150 €. 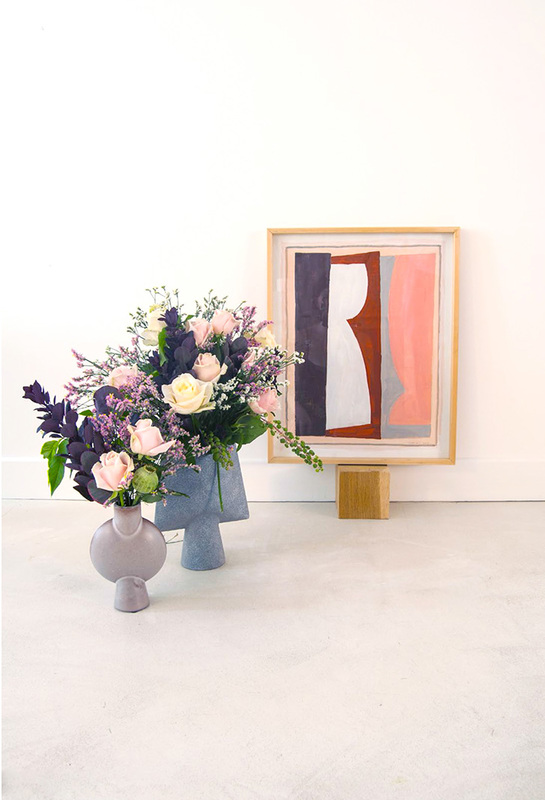 Who is Amélie Du Chalard, founder of the Art Room Amelie? Amélie Du Chalard, 31, whose mother is an artist and father a business lawyer; inherited a dual talent for the arts and finance. After preparatory studies and a business school degree in finance, she began her career at Rothschild & Cie where she spent 6 years. However, she spent her free time collecting the artists she loves, first for herself, then for her friends. 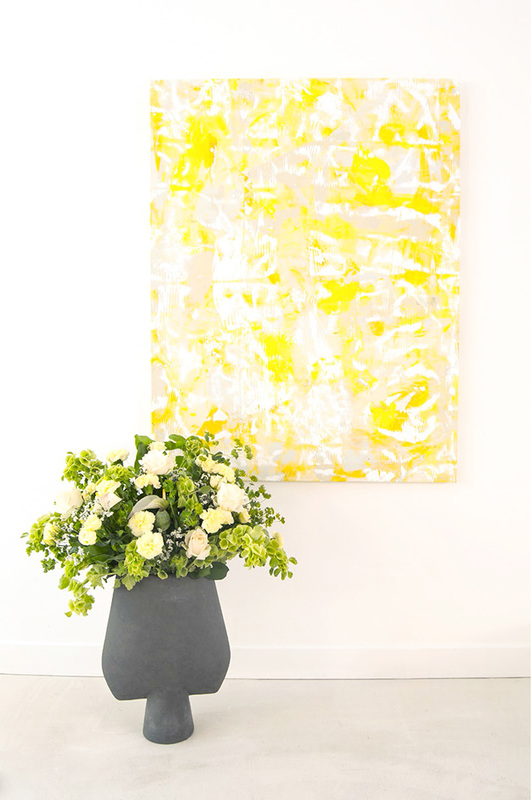 In 2015, she decided to leave finance to devote herself to her passion by founding Zeuxis, that later became the Maison d’art Amelie in September 2018. Questions to Amélie Du Chalard how is tour concept born? When I was working in an investment bank, I often noticed that my entourage was reluctant to cross the doorstep of contemporary art galleries and did not know which artist or medium to turn to. With this analysis that the format of traditional galleries was not adapted to the general public and has not changed for years, the idea of a concept that combines accessibility, personality and variety of proposed works began to grow in my mind. How did you choose the artists you accompany? All artists are professionals with a strong artistic and aesthetic approach. I do not have a medium of predilection, but I wanted to federate artists and works around a common theme: abstraction. Figuration is a kind of reproduction while the power of abstraction allows the artist to write his own language. The viewer can then see the work in a subjective way and interpret it with its own imagination. A first circle of artists are young promising talents whom I notably met during the open doors of the Beaux Arts in Paris. I used to go there m as a child and I keep going back every time with a fresh eye to discover new artists. I also accompany already well established artists with growing notoriety and whose price of works remains reasonable. Finally, we also expose artists more visible on the art market among which Marie-Claude Bugeaud, Bruno Dufourmantelle, or Francis Limerat. And tour B To B Projects? 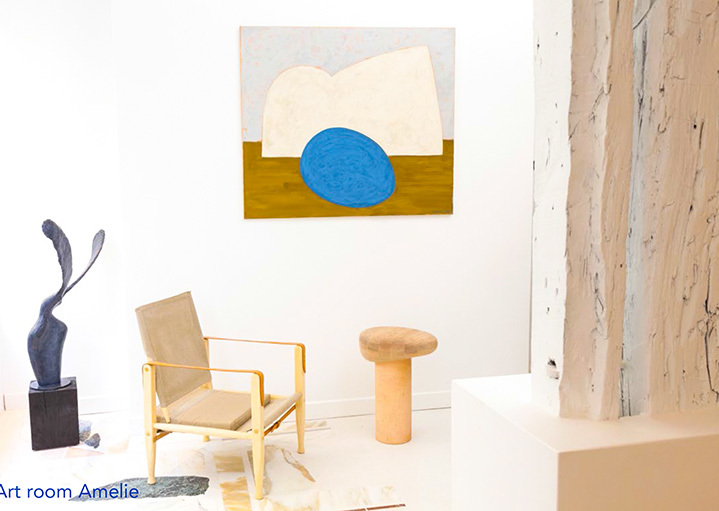 More and more, Maison d’art Amelie accompanies architects & interior designers to support them in their various projects. This can be for large corporates, liberal professions (lawyers, notaries, financial or commercial bankers), hotels or municipalities, hotels, etc. who ask us for advice for projects of artistic development. Monumental urban sculpture, paintings on the walls of a meeting room of an investment fund, a hotel room or a luxury boutique, art becomes a strong external communication tool. 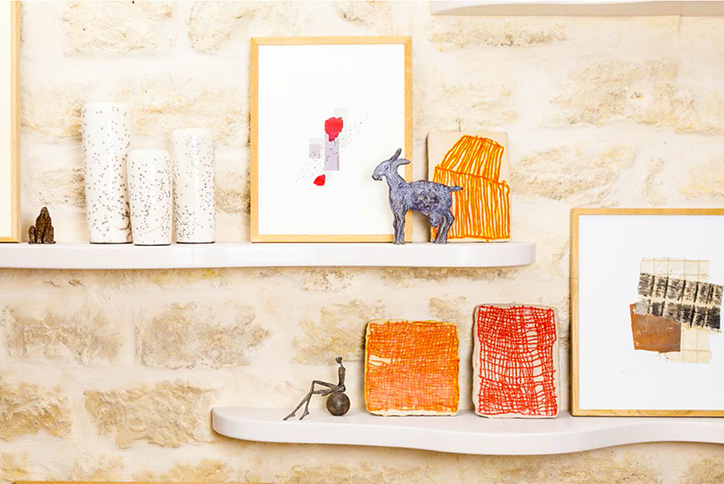 The digital platform of Maison d’art Amelie is very intuitive to navigate among artists and their works and the news of the gallery. Each artist has a biography and a detailed presentation of his works, to understand his approach. 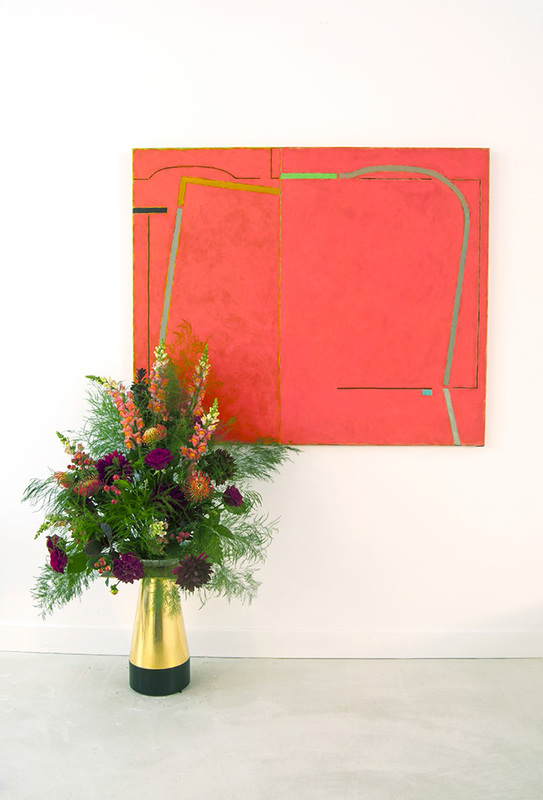 The functionalities of the site aim to give the buyer confidence: on each work presented, buyers can not only ask questions, make an appointment to see the artwork but also contact the art room to enjoy personalized advice. The merchant site also accepts returns of artworks for free within 15 days. It is also possible to create your wedding or birthday list directly on the website. 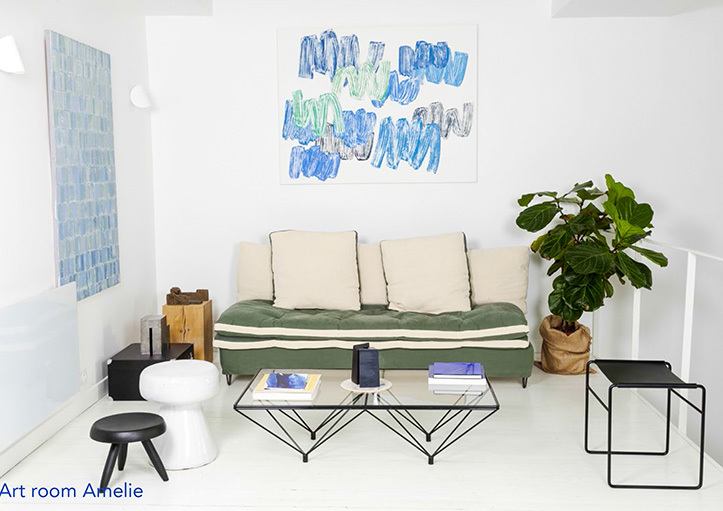 Amelie launches its application, which allows, just like the website, to see the works, their prices, the biographies of the artists, or to consult the news which takes the visitor to see an exhibition or an artist’s studio. 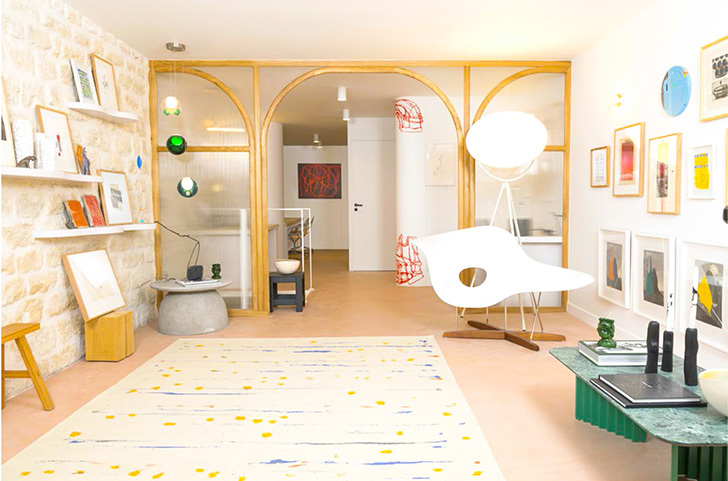 Thanks to the augmented reality it is possible to visualize works of art directly in its interior. In real time, with a smartphone, the user can realistically add a virtual table in a room of the house. If hesitation persists, it is always possible to make an appointment in the art room.